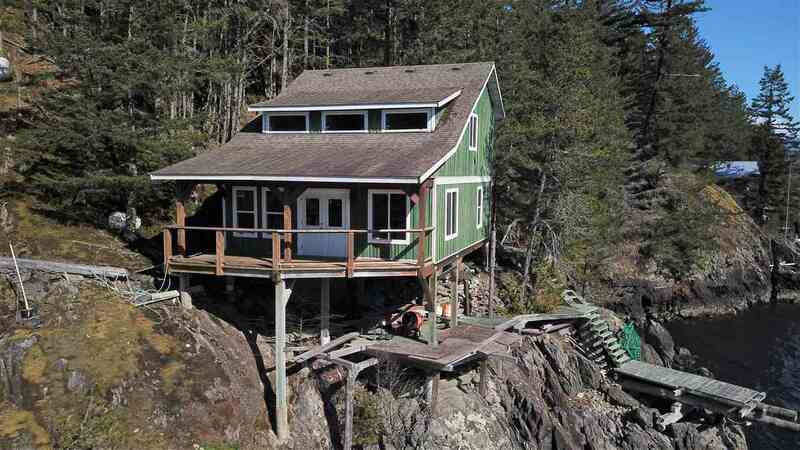 "Stunning 1.18 Acre Oceanfront Property located in "Five Coves"on the Howe Sound. The private property is forested, and located right on the ocean, and next to the rocky shores. The 20 lot community also hosts a community dock and pebble beach. This cabin was constructed in 2007, and awaits a new owners design + finishing in the interior. The inside of cabin can be configured with kitchen/bath/bedroom and upstairs with two bedrooms. Access to his lot is boat access only - 15 minutes by boat from Porteau Cove and only 3/4 hour by boat from Horseshoe Bay."